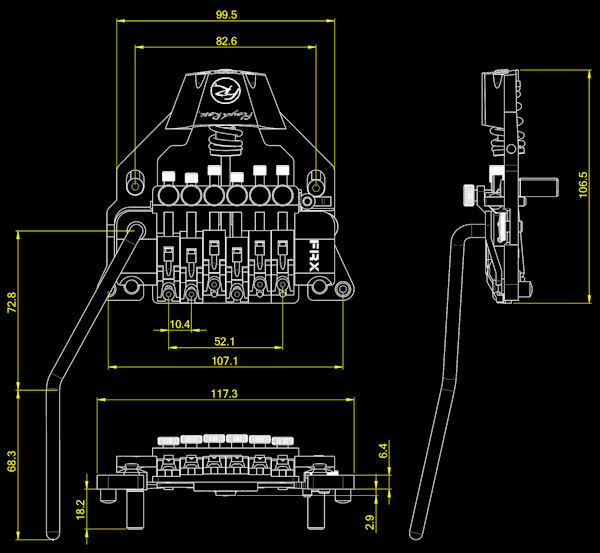 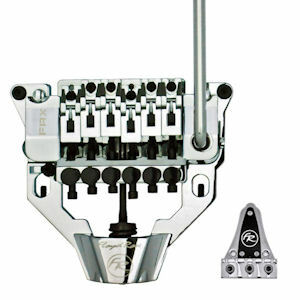 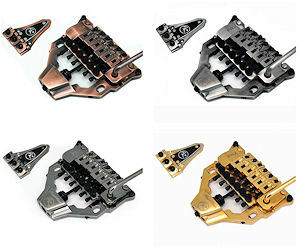 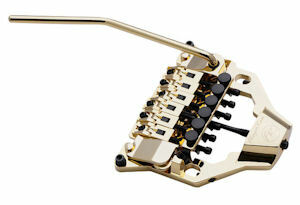 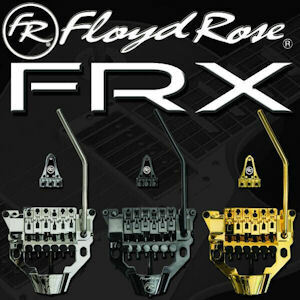 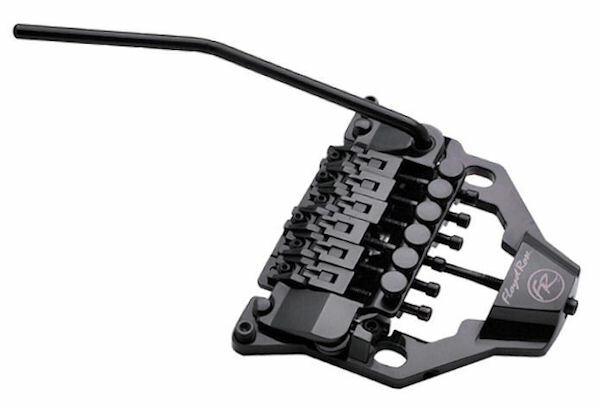 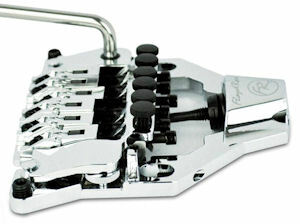 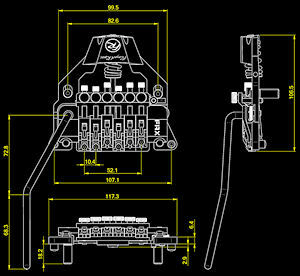 Floyd Rose continues its legacy of innovation with the brand new flawless Surface-Mounting FRX Tremolo System. 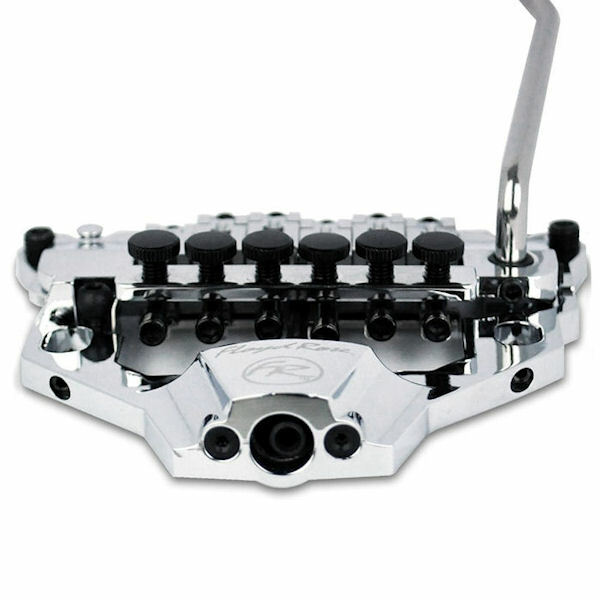 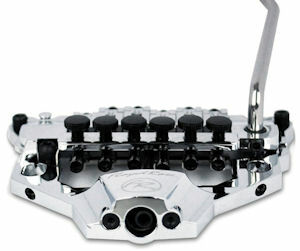 The FRX is a direct swap for the Tune-O-Matic and Stopbar type bridge system, using the existing mounting stud holes and requiring no routing whatsoever. 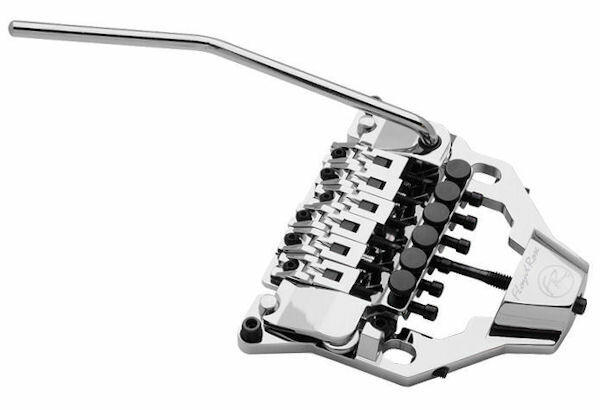 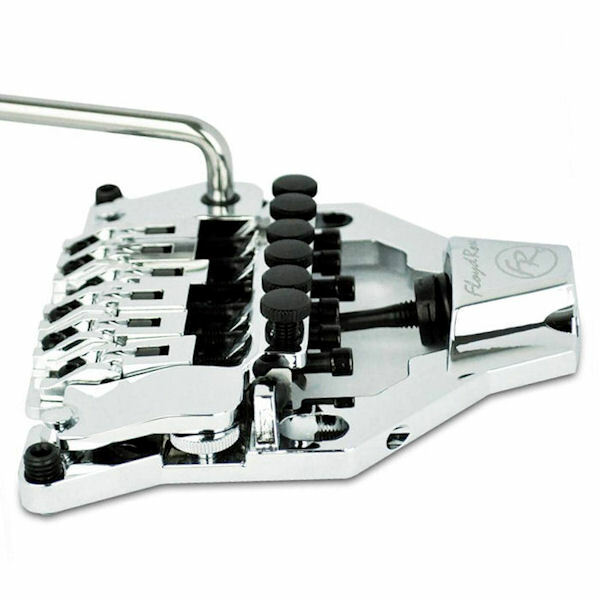 This allows you to Dive Down & Pull Up on your Gibson, Epiphone, Les Paul, SG, Flying V, or other guitars with this traditional bridge setup, with the same tuning stability the Floyd Rose Locking Trem Bridge is known for. 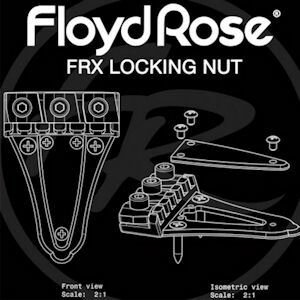 The locking nut mounts behind your guitar's existing nut, in place of the truss rod cover. The FRX locking nut has mounting holes on the left and right; only two wood screws have to be installed to mount the nut, making the installation process of the Floyd Rose FRX system fast & easy. 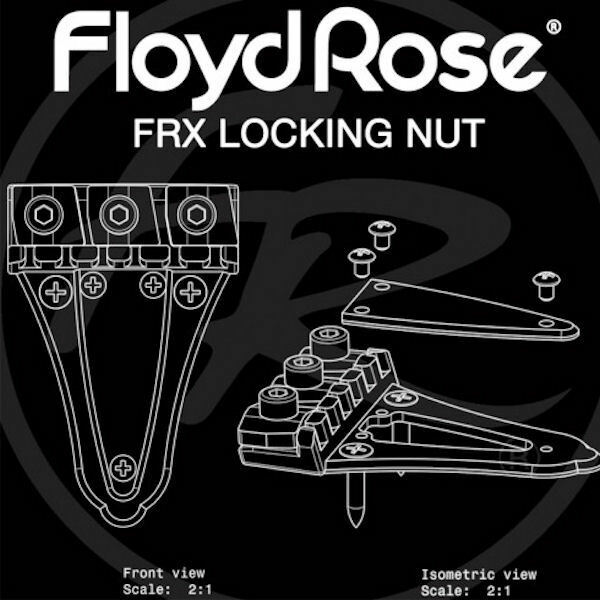 The kit come complete with the FRX Bridge, Posts for both US or Metric Threads, Allen Wrenches, and Locking Nut with all needed Mounting Hardware.